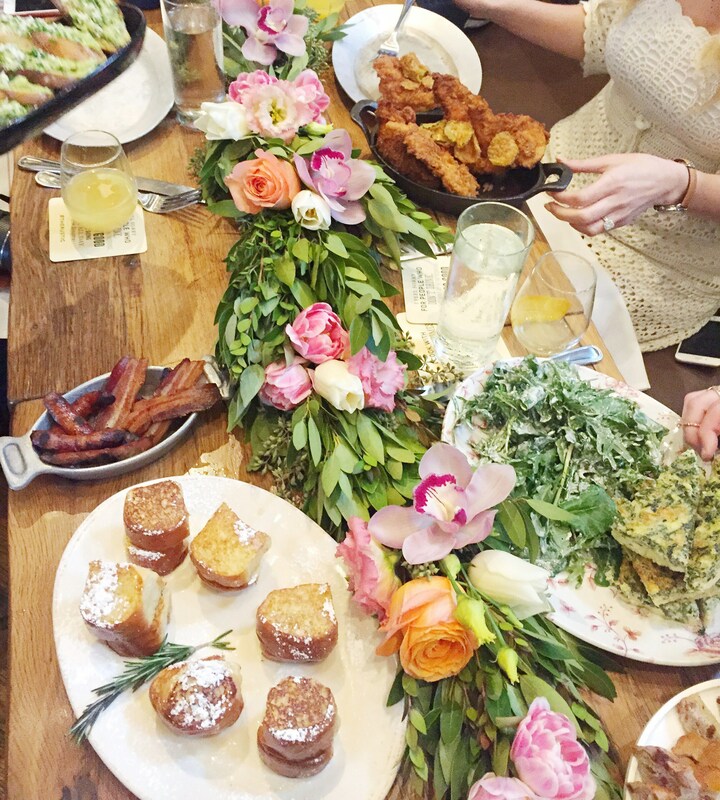 This month I hosted brunch at The Rustic; if you are familiar with Dallas, you have probably heard of this Dallas hotspot that boasts a huge outdoor space in the middle of the city, complete with live music and homestyle restaurant. The Rustic launched their family style “Jam and Toast” brunch last year, available on Saturday and Sunday from 10am-2pm, and if you haven’t already experienced it for yourself, put it on your to-brunch list ASAP. Brunch-goers were welcomed to the table by this colorful floral garland made by Faith Anne Pitts of Fox and the Fleur; this mix of bay leaves, roses, and tulips perfectly set the mood for the colorful array of food that we were about to enjoy. It’s not truly an event unless something goes wrong… one of the most important characteristics of an event planner is being able to maintain composure when something doesn’t go as planned and “roll with the punches.” I normally have place cards at my events to encourage mingling and introducing new members seamlessly into the group, but my place cards didn’t show up at brunch and I had no idea why! All of my guests laughed when I greeted them and jokingly said “Don’t panic – there are no place cards.” We were all able to laugh about it and moved on to enjoy the rest of brunch. 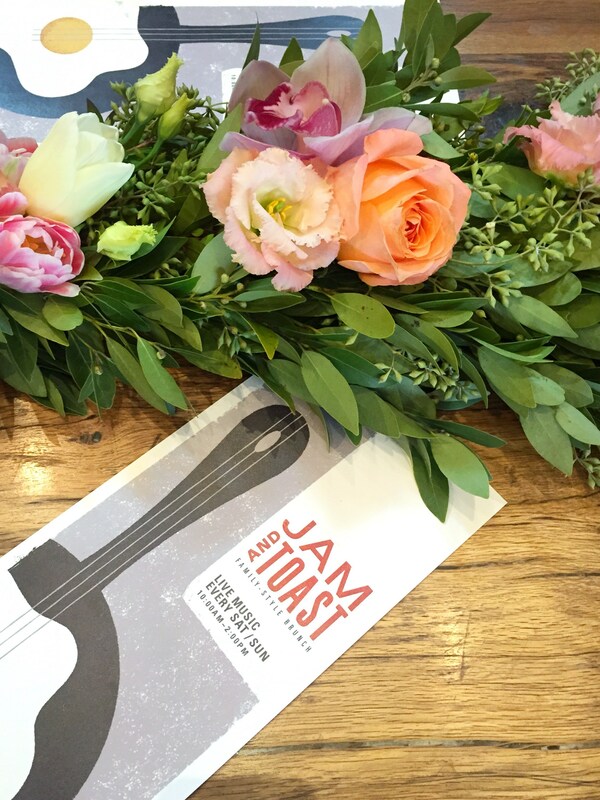 The Jam and Toast brunch is served on a variety of platters and skillets and includes: cheese and fruit, country baked eggs, butcher shop skillet (bacon and sausage), spicy fried chicken, baby French toast, smoked cheddar grits, and a cup o’ donuts. 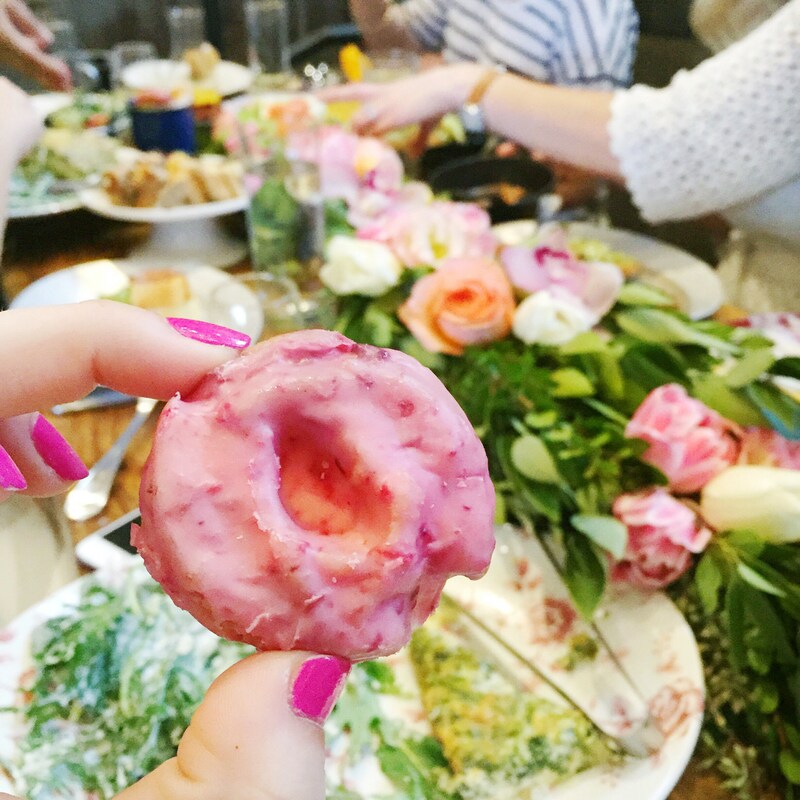 The best part about a family-style brunch is that it’s interactive; guests had to talk to each other and pass plates around the table, giving them an opportunity to bond over the cutest mini donuts you’ve ever seen. A fun fact about The Rustic that I think is also noteworthy is about their service; I not only had a great experience with their wait staff on Saturday, but had another great experience with their management on Sunday! Yes, I double-brunched and went back to The Rustic on Sunday for a friend’s spontaneous birthday brunch after church. We had a very large group with us for brunch and as they were bringing out food, my small group of about 4 friends in the middle of the table didn’t end up getting served (including the birthday boy!). When we realized that they weren’t bringing any more plates out, we alerted the server and he apologized but said that they had already stopped cooking brunch since it was after 2pm but he wanted to make it right for us. His manager came over to our table and offered us any dishes that we wanted off of the regular menu free of charge, which was so generous of him! They saved the day and we were all very happy. I love that I had a great experience two days in a row at The Rustic, which showed me that they really do want each customer to have an exceptional dining experience. 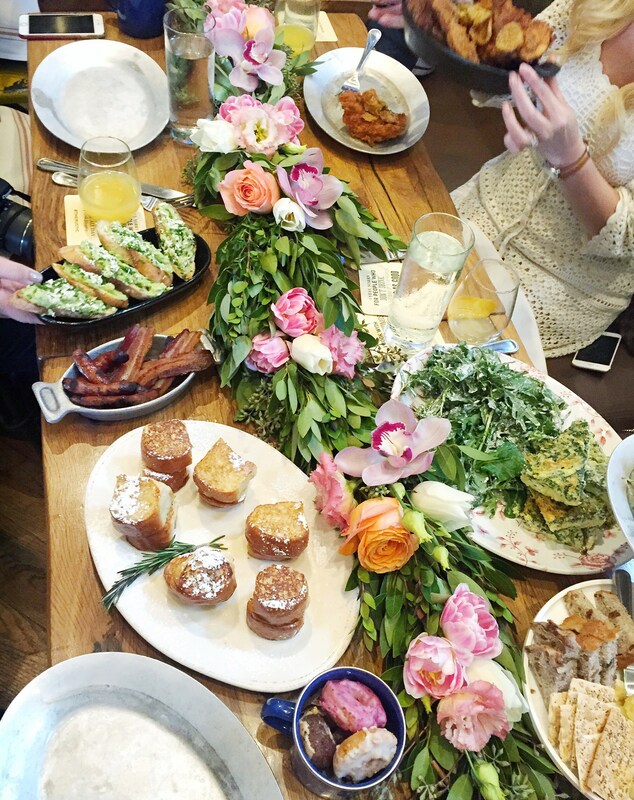 Special thanks to The Rustic for providing this delicious brunch experience for Dallas Blogger Brunch.